Today is my (well me and my husband's) tenth wedding anniversary. The traditional wedding anniversary gift is something made of tin. But I think ten years is a big milestone and I wanted to get something special to mark the occasion. My husband lost his wedding ring a couple of years ago. I wasn't that bothered, because, to be honest, I didn't really like it very much. It was a last minute purchase (we had a whole wedding to organise) and it was in the sale. It was a little bit too big for my husband and it was a surprise he managed so long without losing it. So, for our tenth wedding anniversary I wanted to get him a replacement. Except, I didn't want to replace a wedding ring, I wanted something better, something that reflected our lives a decade later. I was browsing Pinterest when I found the perfect idea: a band featuring the birthstones of our children. I visited a jeweller in Exeter (I won't mention the name because they weren't very helpful, but it's behind Boots on the way up to the castle), but they were stumped when I mentioned June, the month my youngest son was born. The birthstone is pearl and apparently they can't set that into a ring. The alternative is alexandrite, but they said it was rare and very expensive. I'm not sure if it was to do with the scruffy way I was dressed, but I felt a bit like Pretty Woman in the posh boutique and it seemed like they were fobbing me off a bit when they suggested I get in touch when I knew exactly what I wanted. I didn't bother and instead I visited my local jeweller in The Triangle in Teignmouth. Teignmouth Jewellers was a lot more accommodating and promised he would be able to get the alexandrite and the other stones and set them into the ring exactly like I wanted. And he did (delivering a week ahead of schedule). He wasn't even phased when I made an educated guess about my husband's ring size (no jokes please) and said it would be no problem to get the ring re-sized later if we needed to. I'm really pleased with the result. The stones from left to right are: Sapphire (September, the birth month of my oldest son and my husband); Peridot (August, the birth month of my daughter); Alexandrite (June, the birth month of my youngest son) and Aquamarine (March, my birth month). If we have any more children, the jeweller has assured me that it will be very easy to incorporate another stone into the ring. I gave it to my husband this morning. 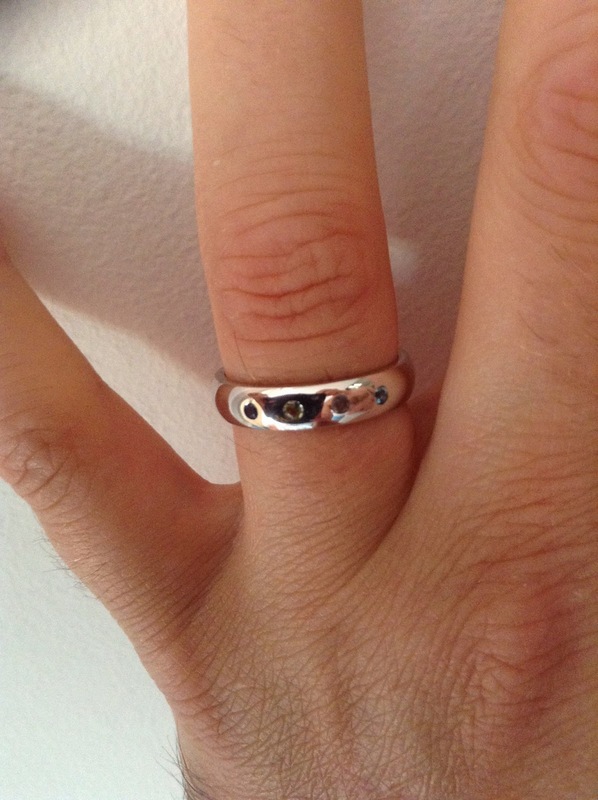 And the best bit - the ring fits perfectly - if anything it's a bit tight so there's no excuses for losing it this time. 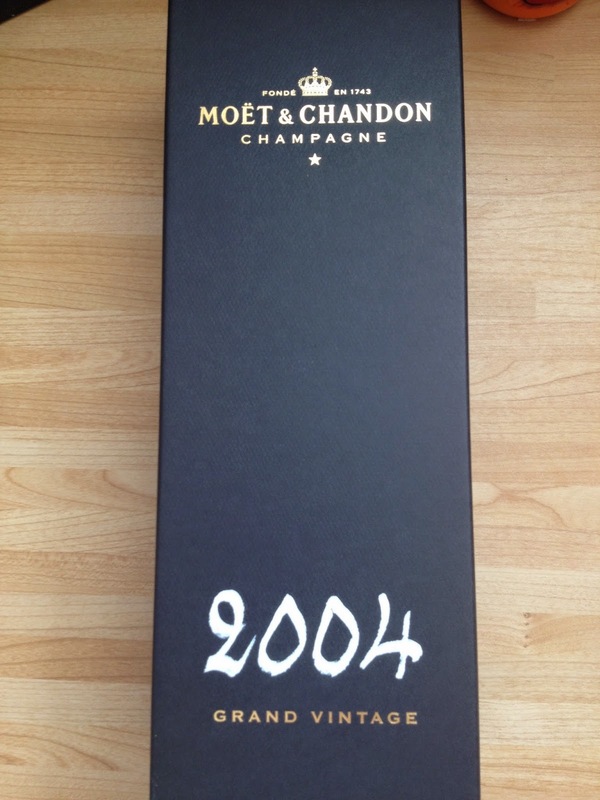 To accompany the ring and to celebrate with a meal at home this evening, I managed to find a bottle of 2004 Moet & Chandon from, of all places, my local Morrison's supermarket. What is the most amazing 10th wedding anniversary gift you've seen, given or received? We deliver the gifts that are referred as symbol of emotion that is very precious and so with the extra touch of care we bring along with every gift you choose. The section of wedding anniversary gifts brings you one of the most special collection of gifts range that has many unique sections like the Anniversary Gifts Ideas that makes your search more filtered and helps you land on the type of gift you may look for. It's really a great and helpful piece of info. I'm happy that you simply shared this useful info with us. Please keep us informed like this. Thank you for sharing.